Most orders placed Monday through Thursday will ship within 48 hours. Orders placed after Noon, Friday through Sunday night will be shipped within 4 business days. After shipment, orders will be delivered within 5-10 business days. We will let you know if an item is temporarily out of stock. Orders placed within New Mexico are subject to 5% sales tax. In-store shipping may be different than online shipping. Please contact us for more details. NOTE: The Maxwell Museum Store currently only ships to addresses within the United States. If you have any questions about international shipping please contact us using our online contact form. 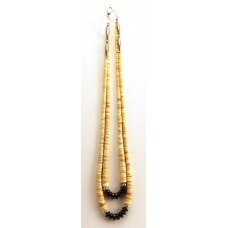 Please know that many of our items are one of a kind. Once an item is sold, there is no guarantee that we will be able to restock that specific item. We update our page regularly to ensure that new items become available as soon as possible. 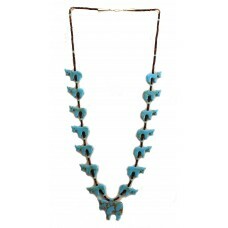 A horse fetish necklace with turquoise horse figures and olive shell heishi strand. Hook closu.. 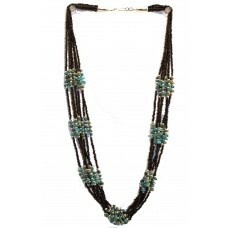 Seven strand jet necklace with turquoise accents and sterling silver clasp. Measures 13 3/4 in.. 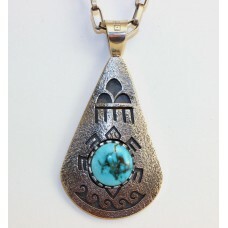 This sterling silver, tufa cast pendant features an Apache Blue turquoise nugget from Nevada. .. 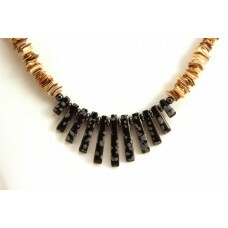 Shell necklace with spotted obsidian and hematite. Measures 9 1/2 in. .. 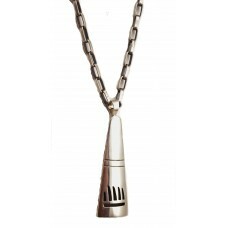 This sterling silver bear paw pendant is approx. 2 x 1 in. Artist's hallmark on back. Ch..